This Tray is Excellent for a Large Get-Together . Makes a Great Spread of Assorted Veggies or Cold Cuts or Assorted Breads. 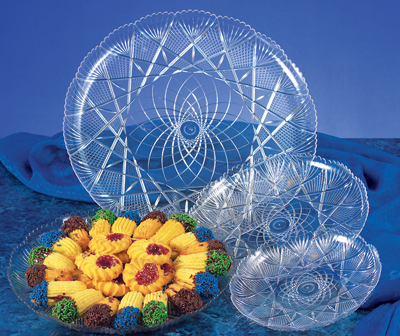 Can also be used for that “Sweet Treat” Tray. Fill with Assorted Cake Wedges or Assorted Cookies. Light Weight but can be used over and over. (W) 13" x (H) 7/8"